We have created IoT solutions and edge networks that are far too gullible and trusting. In 2019, security has to be the number one focus point for organisations to ensure the safety and efficacy of edge devices and networks accordingly. There are too many vulnerabilities and gaps in the security posture for IoT devices -- organisations must take a proactive approach to securing devices. Organizations must use the data, metadata, device logs - treating IoT devices like any other network device to predict and accurately respond to the available signals. 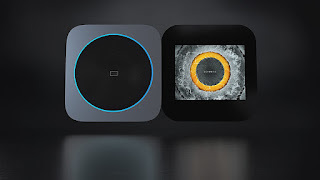 Context is the next major frontier in IoT. Avast announced the market launch of the new WIND FAMILY PROTECT application in Italy. Avast and Wind Tre, a top Italian mobile operator and among the main operators in the fixed-line market, partnered to create a simple and effective app that helps parents manage their children’s access to the internet and keeps track of their whereabouts. 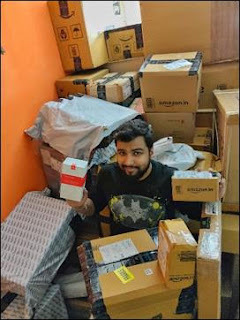 The Gurugram-based packing and moving start-up ShiftKarado has recently announced that it will soon be launching the updated version of its app which will be powered by cutting-edge AI in the coming few months. The app is being redesigned with the purpose to enhance the customer experience at ShiftKarado using the latest technological advances, including Artificial Intelligence, GPS and Barcode technology handing customers a complete control over the planning and execution of their relocation moves. Using the newer version of ShiftKarado app, the customers will be able to track the status from packing till delivery of their consignmentusing GPS technology. Not only will it maintain transparency between ShiftKarado and its customers, but also bring efficiency throughout the relocation process. Realme announced a Selfie Campaign with a Selfie Contest for all youths across the country. 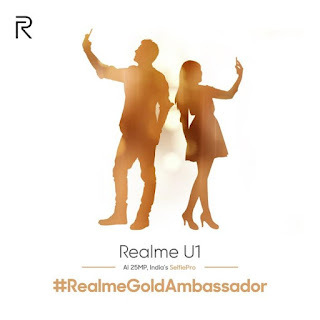 The top winners of the contest will be chosen as the brand ambassadors of Realme U1 Fiery Gold Through this contest, students from various collages will compete to be the first ever official brand ambassadors for the young brand. Realme is the first smartphone brand to appoint the brand ambassador directly from their consumers. Fujitsu India Pvt. 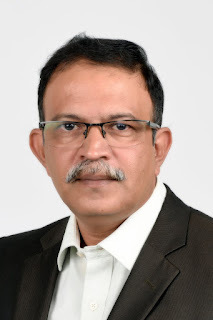 Ltd. announces that it has entered into distribution agreement with Tech Data¹ to market and sell its portfolio of IT products and solutions across India. Local partners from Tech Data will now have easier access to the rich portfolio of Fujitsu’s high quality, safe and reliable products: desktops and notebooks as well as more complex Data Center solutions. 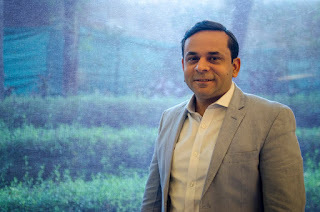 They will be offered the opportunity to join Fujitsu’s SELECT Partner Program², which is designed to support its channel partners in their transition from resellers to providers of managed services by enabling them to embrace new opportunities and become trusted advisors who can guide their customers on digital transformation journeys. Tech Data will support SELECT channel partners efficiently enabling them to offer the complete range of Fujitsu product and solutions adding value and allowing them to open up new business opportunities. “What is my security responsibility in the cloud when I am using IaaS, PaaS and/or Serverless application?” This is one of the most common questions we get asked by companies that are considering moving to the cloud and/or modernize their application with micro service architecture. This is because, today the application uses multiple services from single/multiple cloud service provider and each service in cloud has different shared security responsibility. Shared security responsibility in the cloud environment change based on application architecture and type of cloud services it integrates to. Generally speaking, the cloud service provider, such as AWS or Azure, takes care of the infrastructure and security of the cloud. The customer, on the other hand, is responsible for securing everything in the cloud. The prevailing sentiment surrounding the future of work is that amid all the uncertainty, work done by human is going to disappear; that we’re all doomed. emergence of AI, humans have never been more integral to the future of work. These jobs are both plausible and futuristic – and represent important work that humans will continue to need to do. iCubesWire has bagged the digital mandate of Singer India Limited, a leading manufacturer & seller of sewing machines and home appliances. The agency will be responsible for handling 360-degree digital marketing for the brand which includes social media platforms, website maintenance, SEO and media buying. iCubesWire won the mandate post a multi-agency bid. Manufacturers in the Middle East must do things differently to win market share in today’s environment. To survive and thrive, manufacturers must focus on growth, and one of the ways they can achieve this is to leverage Industry 4.0 technologies. In fact, according to research from PwC, for businesses in the Middle East, Industry 4.0 creates the potential to reap cost savings of US$17.3 billion per year and gain US$16.9 in incremental revenue. “ELGi’s goal is to be the No. 2 player in the global air compressor market by 2027. Our technology breakthroughs will transform the conventional boundaries of compressor technology with a relentless focus on increasing performance and energy efficiency. 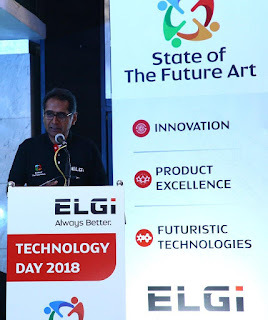 The ‘State of the Future Art’ is an ELGi initiative aimed at identifying and developing advanced technology and nurturing innovation” said Dr. Jairam Varadaraj, Managing Director, Elgi Equipments. 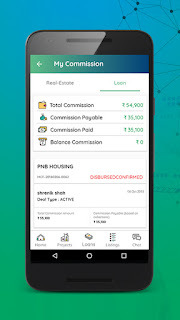 To provide additional source of income to over 25,000 brokers associated with it, Square Yards is introducing mortgage option on its ‘Square Connect Mobile App’ through which brokers will be able to offer home and other loans to their clients at best rates chosen from a clutch of 90 partner banks and NBFCs. Brokers will now be able to provide their clients the best solution for loans, an important component in property purchase process in most the cases and earn higher commission for themselves as compared to what they would have earned by selling only property. This will also help Square Capital, the mortgage arm of Square Yards, to achieve multi-fold growth in the current levels of facilitation of around Rs 300 crore disbursements every month. Infosys announced the formation of a joint venture with Hitachi, Ltd., Panasonic Corporation and Pasona Inc., strategically enhancing its presence in Japan. Executing on its strategy to help clients navigate their digital journey, the entity formed by complementary, iconic companies coming together, will accelerate business process transformation leveraging digital procurement platforms for the local and global needs of Japanese corporations. Infosys will acquire 81% of the shareholding in Hitachi Procurement Service Co., Ltd., Hitachi’s fully owned subsidiary that currently handles indirect materials purchasing functions for the Hitachi Group. Hitachi, Panasonic and Pasona will be minority shareholders of the entity. iFFALCON and Flipkart join hands; announce the launch of ‘iFFALCON TV Days’! In a move which will delight consumers and gadget lovers across the country, iFFALCON, an India-centric smart TV brand from the world’s top-three TV manufacturer TCL Electronic Technology, has joined hands with leading e-commerce marketplace Flipkart to announce the launch of ‘iFFALCON TV Days’. Scheduled from December 15 to December 17, 2018, this first-of-its-kind initiative has been launched on popular mass demand, at the request of iFFALCON fan community and gadget lovers in India. Cyber threat intelligence (CTI) involves the collection, evaluation, verification, and distribution of information about ongoing and emerging cyber threats and attacks against network assets and infrastructure. It is becoming increasingly difficult and costly for organizations to defend against cyberattacks on their own. More companies are reaching out to their peers and to other sources for threat intelligence data. Below are 7 Cyber Intelligence insights from the Ponemon Institute’s Third Annual Study on ‘Exchanging Cyber Threat Intelligence: There Has to Be a Better Way’. 1200 IT and cybersecurity practitioners were surveyed in the EMEA and US. The #1 barrier to eff ective threat intelligence is internal silos among IT departments and lines of business. This finding indicates the importance of a centralized program and tools to make exchange of threat intelligence easier. The world of today has changed drastically due to data. Every process, whether an external client interaction or internal employee task, leaves a trail of data. Human and machine generated data is growing ten times faster than traditional business data, and machine data is growing at 50 times that of traditional business data. With the way we consume and interact with data changing daily, the number of innovations to enhance business agility and operational efficiency are also plentiful. In this environment, it is vital for enterprises to understand the demand for Intelligent Data Management in order to stay one step ahead and deliver enhanced services to their customers. LG Electronics India introduced another innovative Signage. The Landmark Signage is unique and innovative of a kind in India made using 63 custom-made curved OLED panels. This innovative Signage display is conceptualized and executed by HS Ad India in collaboration with LG Electronics, LG CNS and key Ambience Group Associates. This is second landmark signage executed by LG in India; 1st one was installed in Ambience mall Gurgaon. With its elegant form, this is the ideal way for retailers to catch the visitor’s interest. Besides that, its curved flexibility maximizes the space design versatilities, which makes this product ideal for various promotion purposes, such as advertising high-end products. Symantec Corp. introduced Industrial Control System Protection (ICSP) Neural, the industry’s first neural network-integrated USB scanning station that helps organizations protect critical infrastructure by preventing the devastating physical consequences of cyber-attacks on operational technology (OT).